Sometimes coffee can become a little boring... and I don't like boring coffee. It is one thing that I like to change up and add signature "enhances" to. I've never been a straight black coffee person that drinks it religiously. My coffee needs frothed cream, sugar, and vanilla; and I don't drink it daily simply because I want coffee to only be an occasional treat... not an addiction. Coffee headaches just don't really appeal to me. So... where was I going with this? Oh, yes, how to enhance coffee! 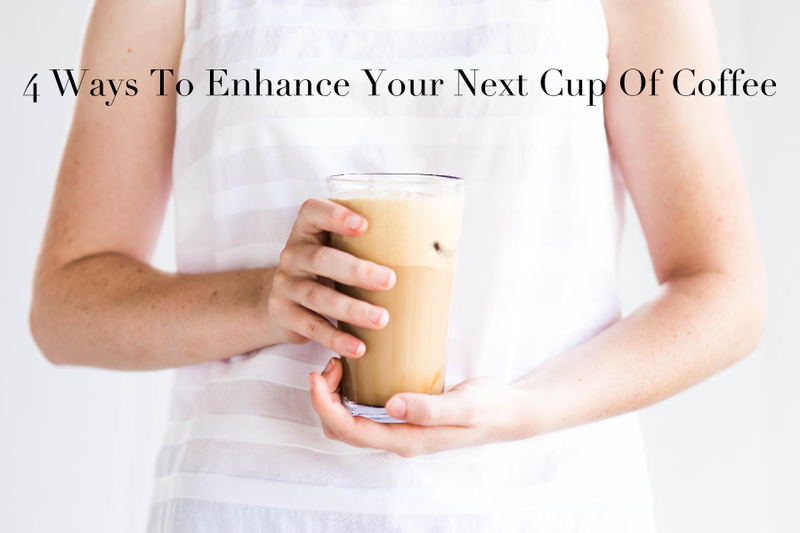 Below are a few simple ways to make your next cup of coffee a little more special. Enjoy! #1. Good Vanilla. This is one of the best things to kick your coffee up a notch. Last year my aunt came home from vacationing in Mexico with a small bottle of wonderfulness, aka vanilla. The vanilla had such a unique and vibrant flavor that quickly transformed ordinary into extraordinary (oh wow, that sounded cliche...). We have used all the vanilla except for just a couple teaspoons... which is really sad. This vanilla (that you can find here) would make the perfect addition to your next cup of coffee but could also be a wonderful gift for your baker-friend. #2. (real) Maple Syrup. Oh maple syrup, how I love it. Not only is it a natural sugar but it also has a wonderful warm flavor that always remind me of Fall. Which is good, right? I often use maple syrup as a substitute for regular granulated sugar and am happy with the wonderful and simple flavor it adds. #3. Coffee Cubes. 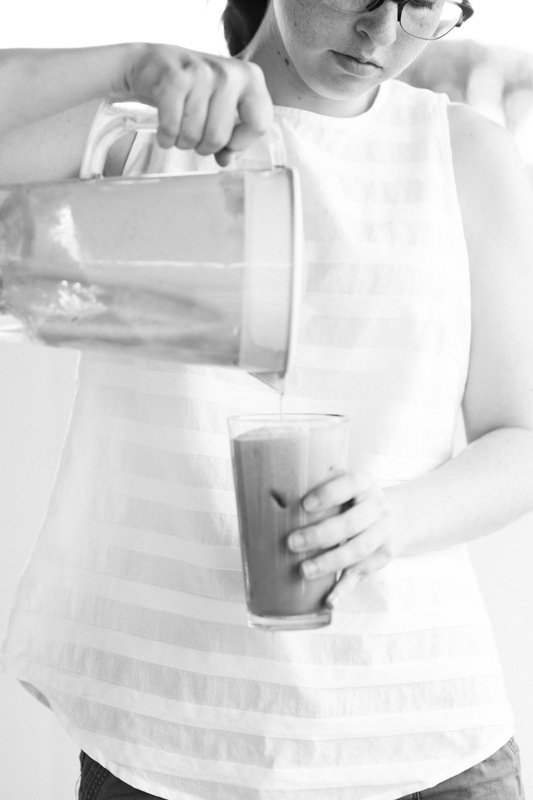 Iced coffee is such a s'wonderful treat in the heat of summer, but regular ice cubes can quickly make a delicious cup of coffee watery and bland. Coffee cubes are such an easy way to keep your coffee's strong flavor long-lasting. #4. Add Spices! Whether you add spices to your ground coffee while brewing, or add them in with your frothed milk, they can add just the right little bit of flavor. My personal favorite spice for coffee is nutmeg, but I have also used all-spice and cinnamon, both of which work wonderfully depending on the type of coffee you want. P.S. Engagement session tonight! Wish me luck! Yum, yum. I need to try that vanilla :) Good luck with your engagement session!